Shopping for the best car boost seat is a complex process. Parents need to look at what influences car safety for their kids without compromising their comfort during travel. At the same time, they need to choose inviting designs which don’t turn kids away from the booster seat. Luckily, full seats and backless seats are available in many forms. Some designs even come with the added versatility of choosing between a backless and a full seat adaptation. 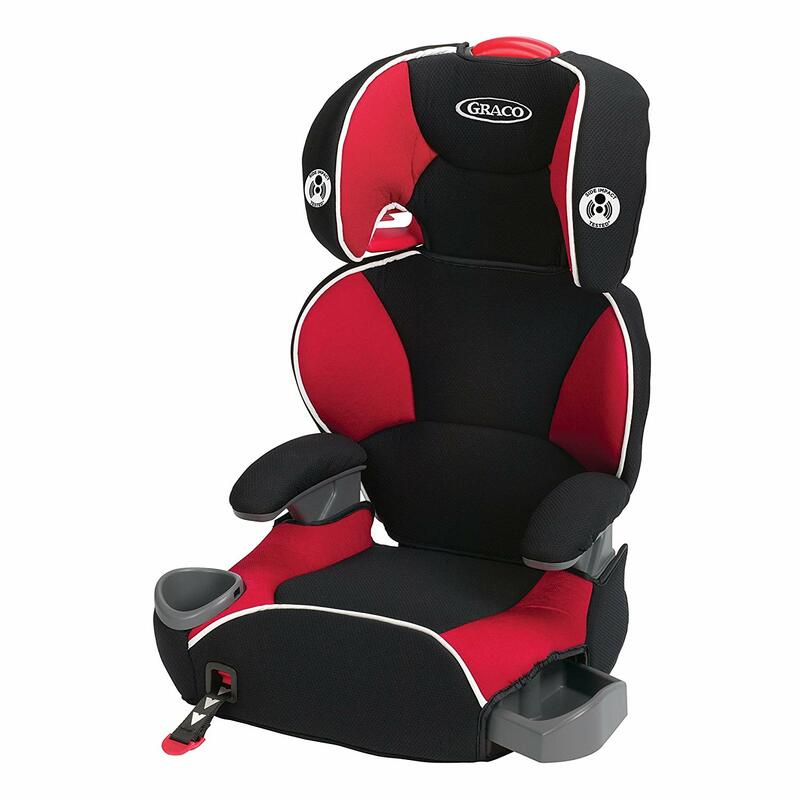 Even more, the best booster seats can be adjusted to accommodate kids as they grow. The shape of the booster seat often impacts its safety. With plenty of good options to choose from, the shape of the seat can be responsible for child protection in case of an accident. Even lateral support is important to keep the child safely in position. The materials need to follow strict quality controls. They should be friendly to the child and they should also be comfortable enough in case of impact. It is why various types of foam are often used in crucial areas of the seat. Car booster seats are also tested by many third-party companies. 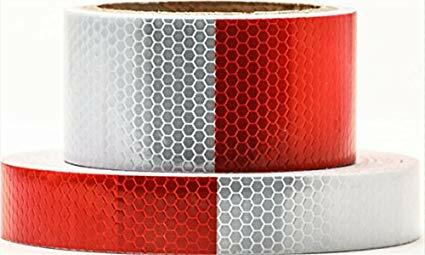 A certified product is a statement to the standards followed in the design and manufacturing process which parents can rely on. Why we like it: With a complex design which is made to pass and surpass testing regulation, the Jameson booster/seat is a top choice for safety and comfort. The 2-in-1 booster design makes it’s a versatile option. The seat helps protect kids between 22 and 40 pounds. In height, this varies from 22 to 50 inches. The belt positioning design has also been accommodated to suit kids 4 and up. A latch system design has also been implemented. Its role is to secure the seat to the car. Of course, it also means the seat can easily be installed on most cars. Kids can also make the most of the two integrated cup holders for a refreshing drink. Made to resist impact at two times the Federal Crash Test standards, the booster can be considered a safe design. Its practicality is as good as they get. As the child grows, the harness can be converted into a regular seatbelt. The 5-point harness can be adjusted from the front. This makes it easier for the kids to get in and out of the seat. At the same time, the harness can also be adjusted in height. There are 4 height positions to consider. A simple rule is that the child’s ear should be below the child restraint headrest. As kids grow, they can move away from the 5-point harness to a simple seatbelt as instructed by Evenflo. In terms of actual transition to the seatbelt, the booster also comes with path guide for the seatbelt. This can be important as kids need to learn how to properly wear a seatbelt. When it comes to other safety characteristics, parents are also happy to know that the seat meets and exceeds the standards for side impact. This is one of the most dangerous impacts and there is special attention placed on lateral forces applied to the booster. Of course, safety comes first. But comfort is important as well. The booster comes with a removable pillow which allows good head support. Since no booster is perfect, Evenflo’s design can be improved. First of all, parents would love to see improved shoulder padding. Secondly, those with multiple Evenflo Jameson boosters noted that the padding on the backrest and especially on the head pillow is getting thinner since the 2015 release. As it’s not at its first generation, the seat already has a good reputation among parents. With some extra shoulder padding, it could be the perfect design. Why we like it: Bigger kids can easily find safety and comfort in the booster which uses a latch system for stability. Transporting kids from 30 to 100lbs and 38 to 57 inches tall, the booster can be used with its back support. Without the back support, the booster can transport kids from 40 to 100lbs or 40 to 57 inches tall. However, much of these characteristics are actually adjustable. The headrest can be raised for proper kids’ comfort with growth. With just one hand, parents can secure the booster to the car’s seat. Of course, more can be done for safety even by the child. Self-buckling is possible when a child is seated. With added loops, the seatbelt can be easily adjusted both with a high back and the backless modes. The latch system of the booster meets US regulation in terms of child transportation. Even more, these safety standards are also coupled with good comfort. 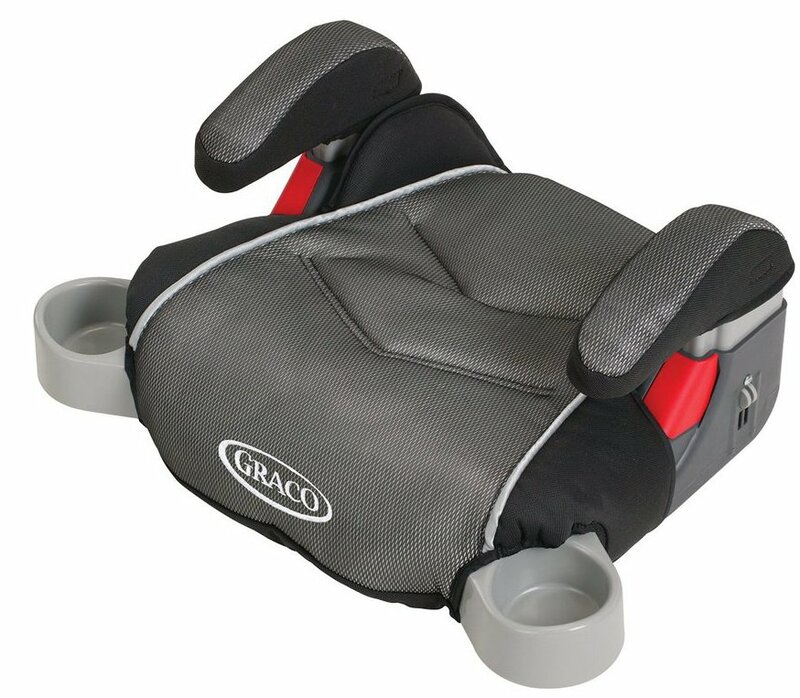 Graco also added EPS shock-absorbing foam to the seat to make it more comfortable generally and in case of an impact more specifically. In terms of safety, the seat meats US regulation using a combination of metal and plastic for side impacts. Big kids will also enjoy the extras of the seat. It comes with a cup holder which can also serve as a snack holder for kids. At the moment, the booster is available in vivid colors which include tangerine, red or grapeade. The booster is highly adjustable and it meets safety regulations. In addition, it also comes with EPS comfort and shock-absorbing foam. 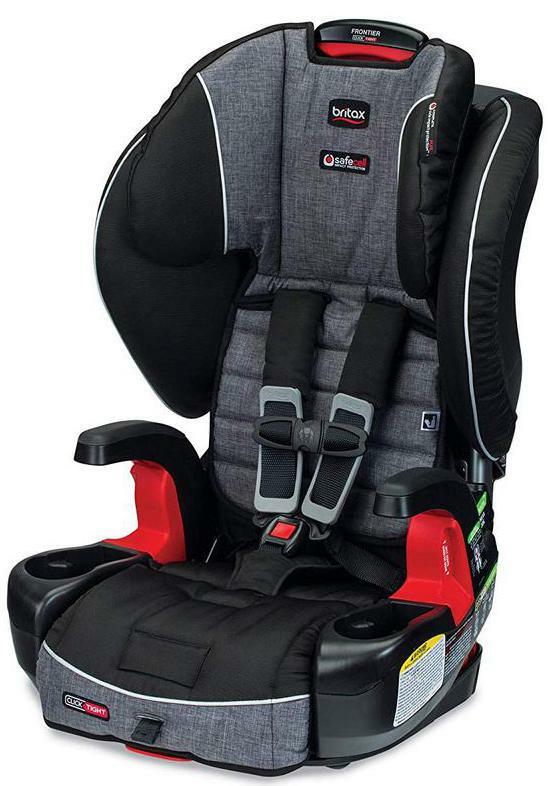 Why we like it: The simple booster does its job for kids of up to 100lbs and it allows easy buckling. The booster is made to adjust kids between 40 and 100lbs. Children can be between 40 and 57 inches tall. A good way to ensure they are at the right height on the booster is when the seatbelt touches their shoulder. The backless TurboBooster easily accommodates big kids. In term of design reliability, the booster has been best rated by leading consumer magazines and highway safety regulation. 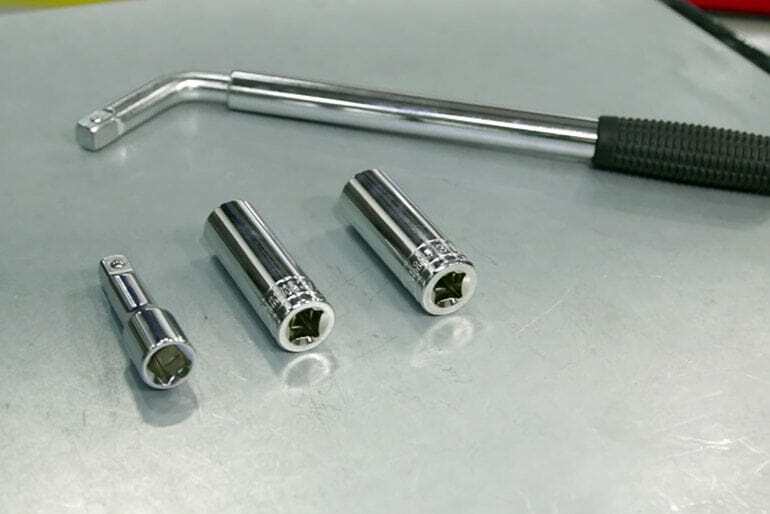 But the booster also comes with some type of adjustability. For example, the armrests grow together with the child. At the same time, the armrests come with padding which ensures comfort for the kids even during those long drives away from home. The booster has been designed to meet and exceed federal regulatory standards. But even with a focus on safety, it still comes with unique characteristics. These include the hideaway cup holders recommended for proper comfort and easy access to various delicious drinks. Being a simple booster, it is lightweight as well. Parents traveling and installing the booster on their own will need no help in creating a comfortable environment where the booster is taken in and out of the car easily. It comes with a weight of just 5.1 pounds. Parents who worry about germs and the cleanliness of the booster can rest assured as well. The booster comes with a removable seat cushion which can be washed in the washing machine with normal temperatures. With adjustable arms and comfortable sitting, the booster is worth the purchase for parents who need a lightweight solution for their big kids. Why we like it: With a 4-in-1 design, the car seat may just be the only needed solution from baby to big kid. Made with a 4-in-1 design, the Graco car seat represents one of the most adjustable solutions parents can consider. The first mode includes a rear-facing harness. 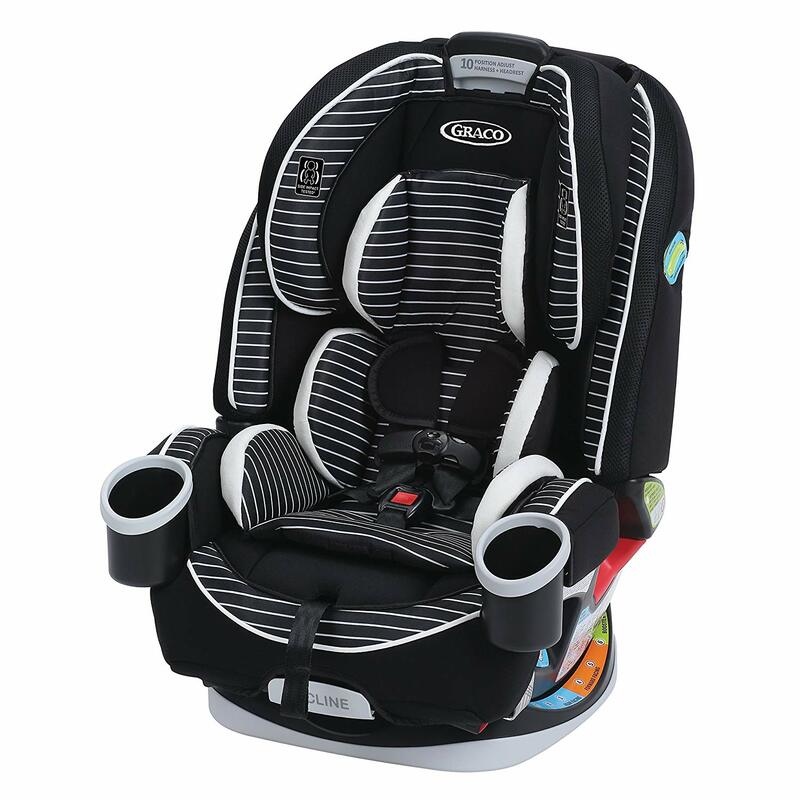 This offers a safe and comfortable environment for babies between 4 and 40lbs. A forward-facing harness booster is next. It accommodates larger kids, of course. This mode is suitable for kids between 20 and 65lbs. A high belt positioning booster mode is next. It is suitable for kids between 30 and 100lbs. This mode is often associated with memories such as the first day of school. The backless booster is the final mode on offer. Suitable for kids between 40 and 120lbs, it is the final stage before kids transition to the car’s seat. There is a 6-position recline on the seat. 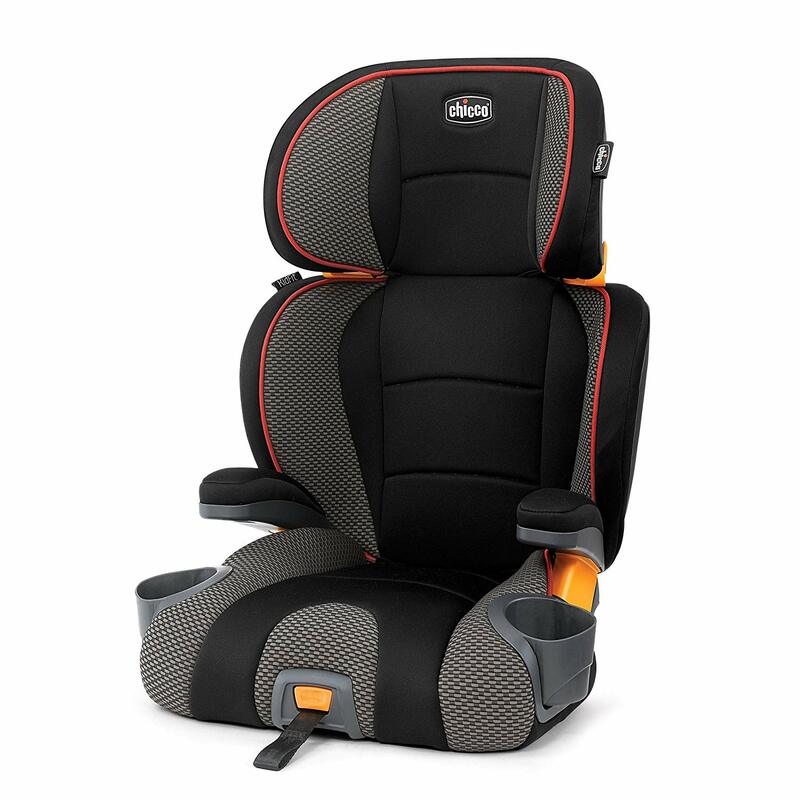 This allows kids to sit in the most comfortable positions both rear-facing and forward-facing modes. One-hand adjustments are available for the headrest and the harness at the same time. Parents can choose from 10 headrest positions so that their kids are fully comfortable and rightly supported. In terms of practicality, there is much to learn for other manufacturers. For example, the harness system can be placed in its storage compartment when using the booster mode with the seatbelt. At the same time, all of these seat modes come with removable covers which can be machine washed. In terms of installation practicality, the seat comes with a simple latch system. There is a level indicator as well. Parents can rely on it to find the right seat orientation. Safety is important with the booster. It meets and exceeds the crash testing regulation. There is even a steel-reinforced frame on the backrest to improve strength and durability. Most importantly, Graco managed to achieve these high safety standards with no sacrifices and without making compromises when it comes to comfort. The 4-in-1 booster is recommended for parents who don’t want to purchase additional car seats as their kids grow up. 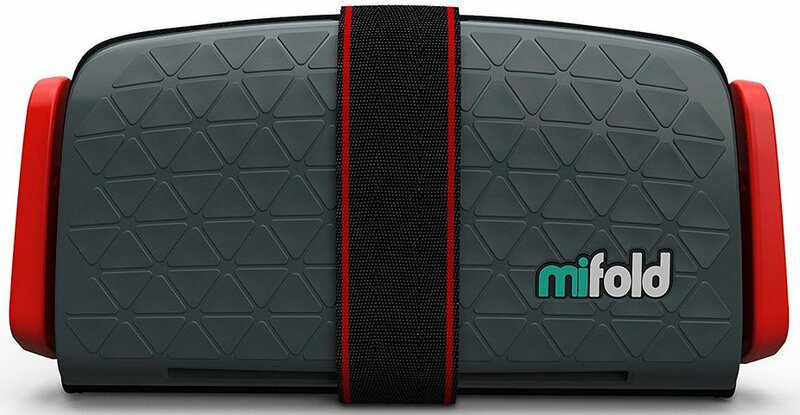 Why we like it: With a unique concept, the mifold Booster can truly be one of the greatest products for traveling families. Made to be 10 times smaller than a classic choice, the booster represents a top choice when it comes to compact designs. It’s secret? Instead of lifting the child up, it actually holds the seatbelt down. Being so lightweight means parents can take it on vacations with them as it fits into any luggage. It even fits into a child’s backpack easily. Its lightweight profile also means that it can easily be moved from one car to another. In terms of practicality, the booster works with kids between 40 and 100lbs and between 40 and 57 inches in height. While the seat can easily be used every day, it is more like a lightweight alternative for busy parents on the go. Children from 4 to 12 can rely on the booster to stay safe in the car. It takes the seatbelt of the stomach and the neck, allowing kids to stay comfortable on the backseat. Passing crash test all around the world, the booster can even be installed by the kids themselves. The seatbelt goes through the patented loops to create a safe space for kids. In fact, it can be as safe or safer than normal buckling as it goes over the lap and shoulders. The National Highway Traffic Safety Administration regulation is passed by the booster seat. It also passes the European child safety seat regulation. The good news is that even abiding by regulation, the booster seat adjusts to the width of the kids as they grow. At the same time, the booster is not a traditional booster. But parents going on vacations may not have access to a regular booster which means the mifold alternative can be the only option left which can actually fit any luggage. This innovative booster is recommended as a lightweight alternative when a regular booster is not available. Why we like it: With easy installation, the ClickTight can be used for kids of various sizes and ages. Made to offer one-click installation as its name suggest, the booster with a backrest can be among the reliable choices parents make for their kids. Its design allows quick installs. 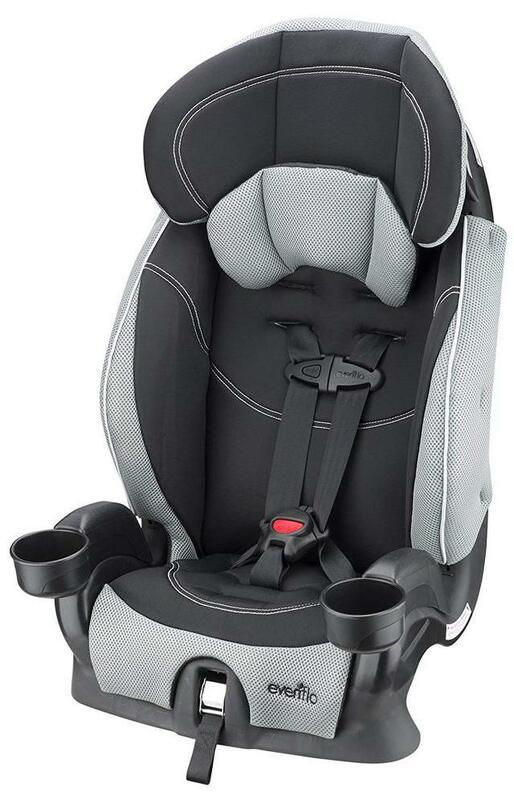 With the opened front of the car seat, the seatbelt slides across and clicks into position. Its convenient design also means the seat can be transitioned toward a booster as the kid grows. Starting at 25 pounds, kids can use the seat for ultimate comfort. The transition also means a change from a harness system to a buckling seatbelt. Parents can also find the right position for their kids. With 9-position adjustments, the seat is recommended for those who want an all-in-one design. 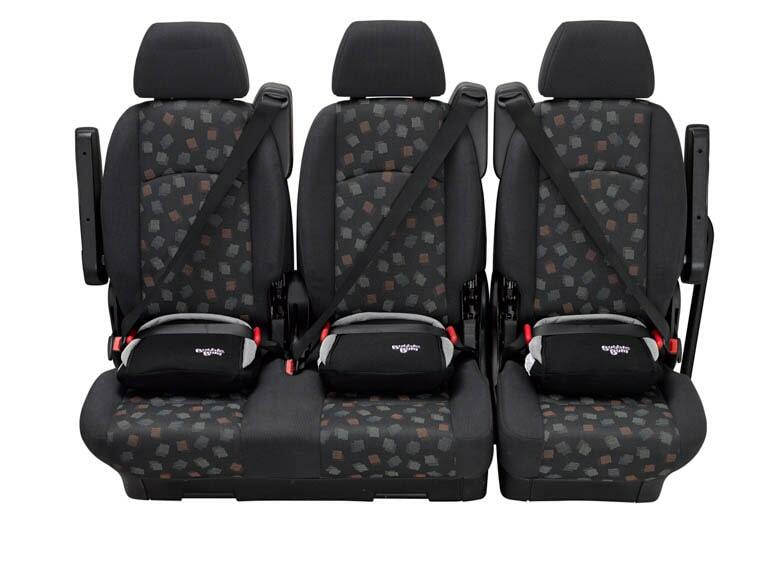 At the same time, it comes with multiple recline positions so that the kids are safe and comfortable at all times. When it comes to a booster, its safety is the most important. It is why parents can use the seat with the trust that it meets all safety guidelines. The energy-absorbing shell is made to a high standard to ensure child safety. There is a color-coded seat belt guide in use as well. Most importantly, unlike many other seats, it also comes with two layers of side cushioning for impact protection. When the fun time comes, kids can also make the most of their integrated cup holders. There is a cup holder on each side of the booster which stays there even if the backrest is removed. 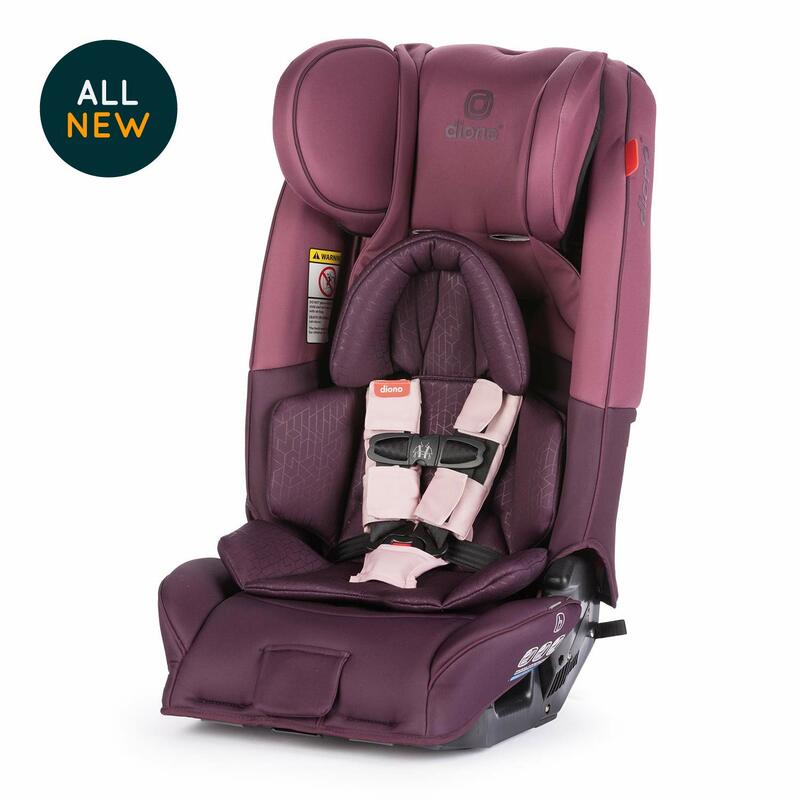 With a versatile design and colored seatbelt guides, the booster is a choice to use as kids grow. Why we like it: As one of the thickly-padded boosters, Chicco’s design is a valid choice for that extra comfort. Made with a contoured seat, the booster is ergonomically designed. It comes with double foam padding providing the much-needed support kids love. In the case of foam, it is already used by various manufacturers as it provides a solid base for comfort and shock absorption. Those worrying about stains on the booster can also rest assured. It covers are machine washable. The same goes for the covers of the armrests which shows that Chicco already placed attention on the cleanliness of the booster in the future. Another distinct design functionality comes with the flexible cup holders. This space-saving design is not yet seen in most other seats. But this simple ingenious design choices allows parents to save space in the back of the car when the cup holders are not actually being used to hold cups. However, the practicality of the design does not end here. The booster also comes with a built-in handle which allows parents to easily transport it from and to the car. When it comes to its purpose, the booster is lauded for its simple and efficient performance. There is an integrated lap guide and a shoulder belt clip to consider for kids’ safety. As most parents can attest, the booster is not the most affordable choice in the design with no back support. At the same time, most parents know that the extra padding can be worth the investment. This is why the booster is such a good choice when it comes to long trips where comfort can be an issue on most alternatives. But no booster is perfect. 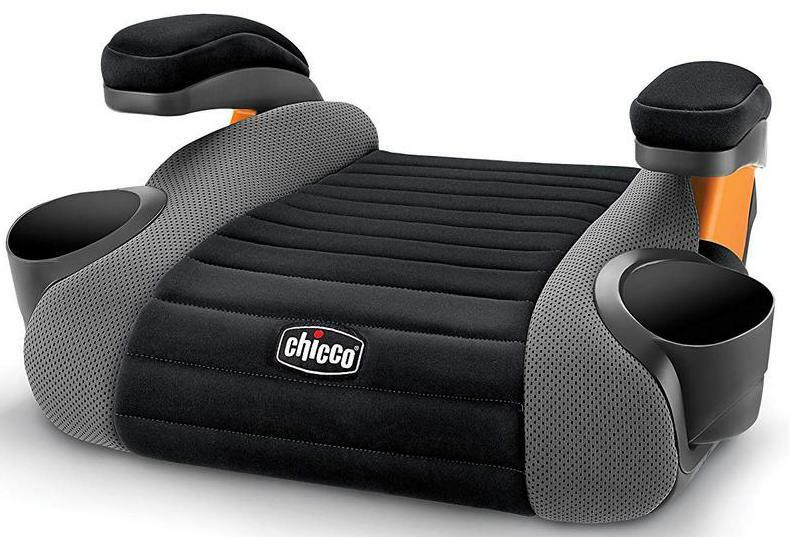 Chicco already knows that to make the GoFit Belt-Positioning Backless Booster better they need to add an anchoring system which would prevent it from moving around the backseat. At the moment, parents can choose it for its comfort in one of the colors which include grape, shark, and raindrop. Kids who value extra cushioned boosters are going to love the thickness of the GoFit Belt-Positioning Backless Booster. Why we like it: As a one-stop solution for children as they grow, the booster is one of the top choices from Chicco. With side impact protection and height adjustability, the booster is among the most interesting options from the popular manufacturer. It differentiates itself with plenty of cushioning and a latch system which keeps the entire seat in place. The advantage of such as design is that it helps kids transition from a regular seat with a harness to a booster. Since it comes with two recline positions, it can also mimic the seat of the vehicle and minimize the space for a solid fit. With double foam padding, the seat is also among the leading choices when it comes to comfort. On short drives, there might not be an immediate difference noticeable by kids. On long drives, this changes considerably. With contoured seats, the ergonomic shape is what actually keeps kids in place and discourages them from moving forward towards the edge of the seat. At the same time, it easily transforms into a backless booster which can be considered by big kids. The booster itself is already similar to what Chicco has to offer. It even comes with the collapsible cup holders made popular by the manufacturer. Secured in place with Chicco’s SuperCinch system, the booster is easy to use as the child grows. Why we like it: Made in the USA, the car seat comes with a high back and a backless booster design with certified safety standards. Versatile boosters are the new norm for modern parents. It creates the environment in which the same product can be used and loved by kids as they grow. The Evenflo Big Kid comes with such a design. Even more, its distinct aesthetics give it a sporty look. With a design which only comes with 6 height adjustability positions, it is not the most versatile solution in its class. But at the same time, it has plenty of freedom of adjustability to suit growing kids. Padded with foam, it comes with a comfortable sitting experience. All of the pads on the seat can be removed and machine washed for a fresh look when needed. The seat can be a choice for kids as it is approved by the Insurance Institute for Highway Safety. With a safe design which protects the head and the shoulders from lateral impact, it can be used for any types of drives. In terms of kids’ size, the booster can be used once the kids reach 40 pounds and up to when they reach 110 pounds. With thick foam padding and certified standards of safety, the seat is a viable Evenflo option. 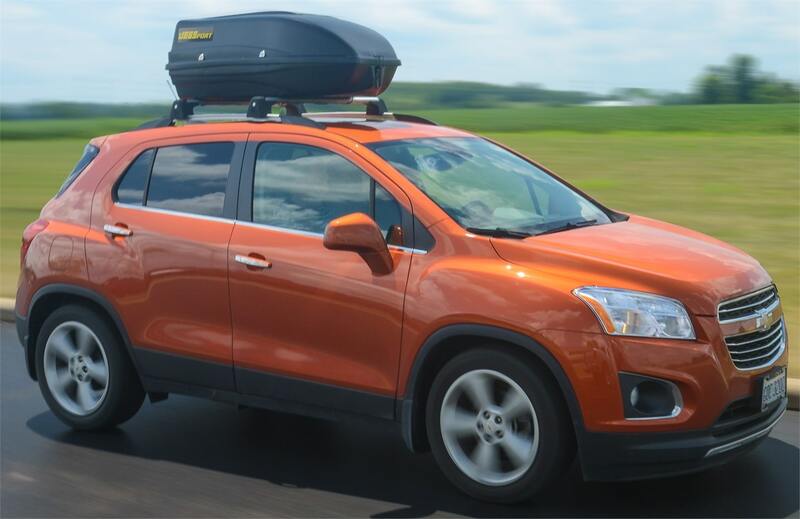 Why we like it: With three included modes, the seat covers transport needs from birth to 120lbs. Made as a one-stop solution for child transportation needs, the seat can be reliable. At the same time, it can save parents money as it excludes future purchases. Noticeably, it comes in three modes recommended for better overall functionality and versatility. From birth to 45lbs, it comes with rear orientation. Forward facing modes are in use from 20 to 65lbs. The booster mode when its used without a harness is recommended between 50 and 120lbs. Among its design characteristics, it is also worth noting the seat comes with stylish materials of premium quality. The seat is among the most versatile in its class. This can even be seen with the number of height adjustable locations. As the best seats offer a maximum of 9 positions, the seat is ready to offer 12 height adjustments. In terms of shock absorption, it uses a combination of memory foam and EPS with plenty of lateral support based on an aluminum frame. Other safety characteristics worth considering by parents include a non-slip rubber base. Unlike another booster, these simple rubber add-ons can make the booster more stable. But kids can also love some of its extras such as the expandable leg rest. With premium washable fabrics, parents get to be satisfied with the purchase as well. There’s a premium feel the seat comes with and it can be one of the best long-term investments for kids’ safety and comfort. Can I use a booster in my car? A booster can be used in most cars. Some boosters come with a latch system which allows it to be tied to the backseat. Why are some car boosters so expensive? Car boosters come at different prices. Those made from premium materials usually cost more, but they are not necessarily safer than affordable alternatives. Is the Insurance Institute for Highway Safety government supported? The Insurance Institute for Highway Safety is actually an independent body. It is an organization supported by auto insurers. Should I choose a high back or a backless booster? A versatile booster which comes with a removable backrest can save parents’ money in the long term. I’ve been in an accident, can I still use the car booster? If your car has been in a major accident, it is not recommended to use the booster. Purchasing a new one is the right way to go. EPS foam is used in the construction of some modern boosters. Expanded polystyrene is a type of rigid foam, due to its closed cell foam density. Buying a new car booster seat might not be the easiest process parents need to go through. It is one of the most important decisions when it comes to the kids’ safety. It is why all parents should take the time to inform themselves about the positives of a good car booster seat. Safety certifications do not come easily to car booster seat manufacturers. They are usually obtained from third party companies and they can be an extra assurance that the seat is actually made according to modern standards. Apart from the certifications themselves, the seat also has to actually minimize the risk on the child in case of a car accident. Most boosters can be fitted in modern cars. In case a car comes with an airbag in the area of the booster, parents need to consult the vehicle’s manual to see if it is safe to use a booster in the area. Some cars even come with airbag deactivation as a result. Simple installation is also a must for modern parents. With considerable luggage, baby clothes and kids’ foods to carry, the weight of the car booster seat can be important as well. However, it should never be the sole determining factor as many parents even leave the booster in the car at all times. All kids should know that up to 120lbs, they are recommended to sit on the booster, on the backseat of the car, with the seatbelt or harness put on. This means that boosters need to be used according to the age or according to the height of the child. There are various materials used in car booster seat construction. It is hard for parents to establish if certain metals are better or if certain foams are better. Comparing a few products and seeing the product’s certifications are among the tools parents have when it comes to the booster’s safety. When it comes to comfort, parents have a more important say. With different cushioning foams and covers, parents can have a better understanding of the type of comfort their child can expect. It is often that parents are actually complaining about thin padding, which can create discomfort, especially on longer trips. Having the ability to choose boosters with removable and washable covers is crucial. It is recommended to keep the seat cover as clean as possible. This is why it needs to be washed as often as possible. But not all seat offer this function. For example, part of the cushioning can never be removed in some designs, as it usually happens with the armrest cushioning. Not all car booster seats come with harness adjustability for height. This is not necessarily a problem. However, there are a number of instances where the most amazing results in terms of safety, fit and comfort come as a result of proper height harness adjustability. As kids grow, they might feel more comfortable with a higher harness position. The same goes for the backrest adjustability. In many cases, this adjustability can come with considerably improved results when it comes to comfort. It also supports the back of the child properly. From a minimum of 6 to a maximum of 12, these height adjustments can make the difference between some boosters. Headrests are crucial for comfort. Surprisingly, some manufacturers are still thin on the cushioning in this area. Apart from offering extra cushioning on the back side of the head, they also need to protect the head with lateral support and cushioning. Proper shoulder protection is not offered by all car booster seats. But lateral impacts are dangerous and this needs to be addressed as soon as possible by all manufacturers. Even more, its design should act as a shell and work together with the head protection to offer proper safety from all angles. One of the often overlooked characteristics of a car booster seat comes with colors and design. It is important to consider the options at hand when it comes to what the kids actually like. Some of the most successful boosters combine proper safety elements with attractive designs. They can actually make the kids look forward towards being safely tucked in the seat. Another overlooked design element comes with belt-positioning guide paths. They can ensure the belt is used at a correct angle. They offer an accurate fit which is crucial when it comes to proper protection. While some parents see them as possible problems as they can scuff the seatbelt in time, most of them are actually reliable and they add to the safety of the car booster. Another accessory which is often overlooked comes with included cup holders or snack holder. It is often that kids try to reach for a drink or a snack that they try to get out of the car seat. It is why parents should ensure they have all that’s needed to make them comfortably sit in place. Most manufacturers now offer at least one cup holder. However, some of these cup holders can easily be removed, which, as parents know, is a problem as they can be thrown around the car. Hideaway cup holders are also valuable as they can be taken away from the child’s eyesight when not in use. When parents are out to find the best car booster seats, they need to put their child’s safety first. There are so many great designs to consider at the moment at affordable prices that there are no excuses for not making the right decision. Apart from self-responsibility, parents are also required by law to use a car booster seat. 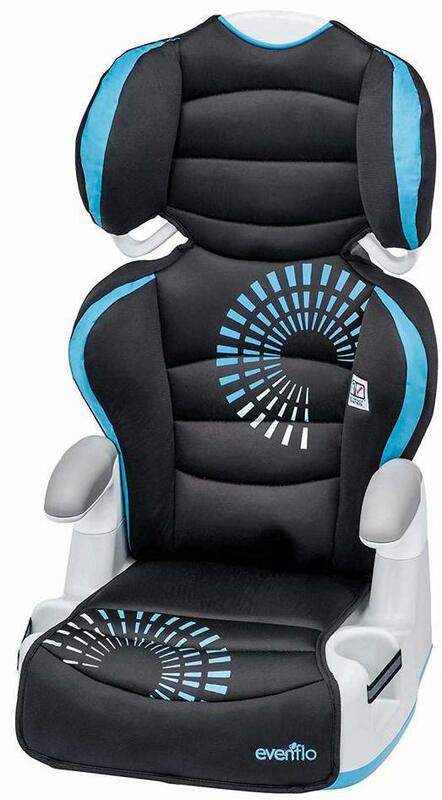 All-in-one car booster seats are the best choice for most kids. They help them transition from a young age where harnesses are mandatory to an age where they can fully use a seatbelt. At the same time, kids can also make the most of their car’s seat when they have the right adjustability options. It is always worth investing in a car booster which comes with proper adjustability. Even more, parents are the ones usually responsible for making these designs as comfortable as possible. From backrest height adjustability to the armrest or angle adjustability, kids can benefit from these characteristics at a different level. Going back and forth between a high backrest and no backrest can also mean parents can use the car booster seat when they have kids of different ages and when they are driven separately.